Before you can truly think of society, you have to look closer to home and into someone’s culture. 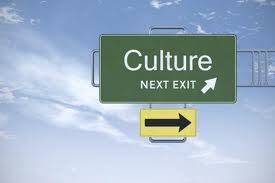 Basically, culture is defined as the behaviors and beliefs characteristic of a particular social, ethnic, or age group. 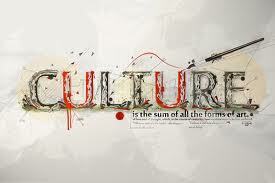 In order to identify ourselves as a certain culture, we have to identify with that specific culture. In each of these cultures, people have these ideas, thoughts, and beliefs that have been handed down through generation and generation and generation. Some of these cultural ideas and ideals have been handed down so long that the modern people don’t even know why they do the things they do…they just do them because everyone else in their culture has taught them to do it. A black Jewish man. – Part of the black culture he was raised in. Part of the male culture he was socialized and brought up in. Part of the Jewish religious culture he has adopted. No matter what culture he identifies with, all three cultures are part of him. As I’ve said many times, we as humans are observational learners. We will learn what we see most. This is the first indoctrination into socialization and culture. We watch what everyone else is doing while we are gnawing on our binky or pacifier. This is where we get our first understanding of how to act and how to behave in the family and the groups we are part of. 1.Men drink, enjoy drinking, and drink a lot. 2. Men are the leaders and the ones that make the decisions. 3. Women cater to men and if they don’t, their worthless. 4. Women are secondary to men and they deserve to get hit and beat if they forget this and don’t do as they are told. 5. The only way to get things solved is through violence. The more violent you are, the more you are respected. This was the cultural handbook that he was given to go out into the world with. He is not unlike many other people in the world. Many of us have been given similar handbooks….how to be a lady, what a girl does and doesn’t do, how to be a good person, how an Italian man acts, how a real man acts, etc, etc. What type of adulthood and world will our Irish friend create? Given the cultural teachings: He will create a misogynistic, violent world consumed with alcohol and fighting. Respect will only be given to those individuals that can drink, fight, and treat women as he does and has been instructed to do through his family. If he has a sister, she will accept that getting hit and beat up is normal, and all men are violent alcoholics. She will see herself as only having worth if she can take care of men or be used by men. In her world – love is violent and attention is given tot hose who behave. They will teach their children the same and the cycle continues! 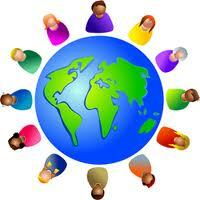 According to many anthropologist, the cultures of the world were created during the time of “the great unrest”. This was the time shortly after the fall of matriarchal power and the rise of the patriarchy. This is the beginning of most of our towns, cities, nations, and religions. Many of the cultures created a civil make-up of women as secondary to the normal society and women became creators of the home and care takers of the children and family unit. From these archaic beginnings come many of our inaccurate ideals to this day. The people who still identify with the origins of these cultural ideals, cite their culture for the way they are and the way they act. 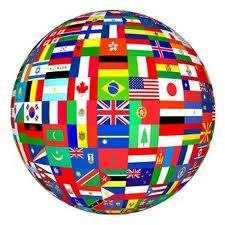 In fact, many cultures site religious reasons for violence toward women and violence in general. Christians and Jewish alike cite many parts of the Christian bible and the Torah that states the need for violence towards women and the depictions of how women are supposed to act. The same is true in Islam and the many forms of Islam. In fact, many of these cultures cite the idea that the one who destroys the most-wins. OR Might makes right. 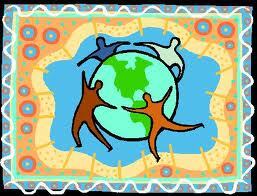 However, these same religious culture also state humanity and good will towards all people. They cite love and nonviolence as their main purpose as well. There are many many groups that are poking holes in these religious beliefs in order to understand that violence towards women and violence in general are not ok.
Violence towards women does have a cultural basis to it, but it is extremely biased created in a bygone era during a rise of fear of the unknown and mass upheaval of past cultures and organizations. These are not traditions that needed to be handed down, in fact they are traditions that the modern world and the modern-day human being can not relate to. These archaic cultural traditions do not hold us together as culture and societal norms do, instead they tear us apart and cause suffering and harm to its individuals. Culture is not an excuse to demean, hurt, abuse, destroy, and sexualize girls, women, or anyone for that matter. In the end, we must pull the nagging strings of our current cultural fabric and re-weave that fabric to include equal treatment of all people no matter their gender, their race, or their ability. Opt 4 a culture of acceptance and understanding. Opt 4 a world of no violence. Opt 4 a world of no gender violence. Opt 4 a world where women are seen as human beings, not anything else. 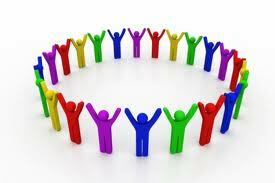 Opt 4 a world where we are seen as partners.